The San Diego Padres have landed their prize as Manny Machado has agreed to a record-breaking deal. It has finally happened. After weeks of talks, meetings, and negotiations, AJ Preller and company finally landed the big fish. As reported by Jeff Passan, the San Diego Padres have agreed to a deal with free-agent Manny Machado. It will be a 10-year, $300 million deal with an opt-out after five years, the largest deal in not just Padres history and not just baseball history; it is the biggest deal in sports history. He is easily the first “big name” player San Diego has had since perhaps Adrian Gonzales. Machado does not need to be explained as he is a four-time All-Star as well as a two-time Gold Glove winner at third base. He is one of four major leaguers to have a WAR of 5.9 in three of the last four season. A career .282/.355/.487 hitter with 175 career home runs, Machado will immediately fill a hole at third base that was questionable at best. Ty France was slotted in as the main starter, but with uber-prospect Fernando Tatis Jr.at shortstop and Machado back at third, France will most likely go back to Triple-A El Paso. After weeks of tense talks and meetings in Miami, multiple teams were rightfully in on the star infielder. Teams like the New York Yankees, Philadelphia Phillies, and the Chicago White Sox sent their best offers to Machado’s agent Dan Lozano, while Machado and his camp were more than willing to wait out fellow star free agent Bryce Harper and the notorious Scott Boras. However, with the Phillies seemingly zeroing in on Harper and the Yankees trying to stay below the luxury tax, it quickly became a two-team race; a race Preller and the Padres ultimately won. After playing six and a half seasons with the Baltimore Orioles, Machado finally got his first taste of World Series action with the Los Angeles Dodgers, but the team up north fell to the Boston Red Sox even with Machado in tow. Now, he will attempt to go back to the World Series with his new team. How he meshes with his teammates remains to be seen. 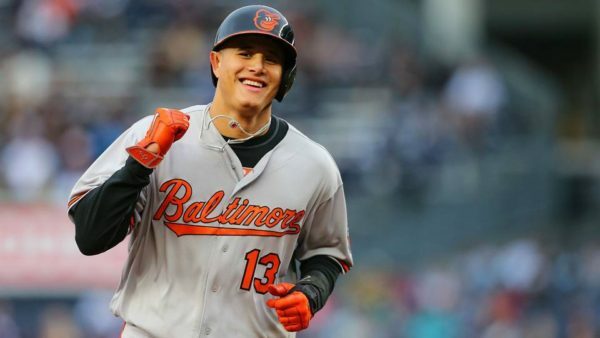 Machado had his naysayers in last season’s playoffs for his hustle or lack thereof, but former players with the Orioles have stated that he is a good clubhouse presence and were saddened when he was traded. There is a pause to this though. While financial terms have been agreed on, Machado has yet to pass a physical and the language of the deal hasn’t been determined. A similar situation occurred with Eric Hosmer last season after he signed his deal with the Padres, as the team took an extra two days to finish key terms. If/when the deal is hammered out for good, the Padres will finally land not just a third baseman, but a franchise player with a potential spot in the Hall of Fame if everything goes his way. Even with the potential character flaws, Machado will still bring a powerful bat and a great glove to the left side of the Padres infield. Previous Will Fernando Tatis Jr. Be the Padres Opening Day Shortstop? No to gio and bucholtz. Let the kidz start. Can’t believe I actually agree w tanned tom. Bring on 2019, lets see where we are with the kids and then adjust next off season. Go pads!!! I would like to get a longer look at the young pitchers before filling up the rotation with stopgap types. Machado’s contract is for 10 years not one or two. Allen, Paddack and Quantrill are new to the mix this season and it sounds like Nix had an injury last year that probably affected him. I think we should consider signing Gio Gonzalez and/or Clay Buchholz now. Both could be a bridge to our Blue Chip arms getting to the Big Leagues and Lamet and Richards getting healthy. I believe one of our kids who are ready will POP this year. But if not we could go after Cole next off-season. could be a staff that allows the growth by the overall team to say 85 wins meaningful. It would put some pressure on the team to see who preforms and who doesn’t. This deal makes complete sense. Great player in his prime, filling a position of need. 1) Trade Myers. Saving some of that extension is now more important than ever. 2) They should keep the pedal down and add a starter next. Keuchel? 3) Call an end to the Jose Pirela era.